So begins the countdown for maternity leave. Our first child has a little less than 2 months while its kind of scary and exciting–I am definitely getting close to more doctors appointments (3-4x/week) and trying to get rest. So as my leave approaches, my OCD-persona has started to kick in trying to figure out a schedule that will keep my brain going but not stress me out. So I decided I’m going to make a “home school” for myself so I can spend some time each day readings/writing and learning something so I don’t get mental bored. Or tired of the TV. Or sucked into a whole show like Game of Thrones for three weeks or something.. (Not saying those are entirely bad…) plus being diabetic a schedule such as this will keep me on track with eating and sugar monitoring. Between 7a-9am: wake up, doing morning tests and have breakfast (what’s nice is I won’t feel rushed and can make whatever I want but at the same time need to be ready.I only have one appointment during this hour so it will free up my day for other things and keep me on track. 9a-12pm: religious studies. Yeah, I know most people are like “what the hell?” but-what I mean by this is get out my Greek and Hebrew and get back into my theological studies topics. I have several doctors appointments during these hours, including “sitting” appointments where I can do some reading.I also might go searching for audio books and alternative methods of learning during this time. 11a-2pm; lunch, more monitoring and general relaxing. This will be the most flexible time since I have appointments during these hours and will have need the time to eat. Also, t is possible Shawn will have lunch himself so we shall see what’s going on. evenings: spending time with shawn and working on meals. That’s pretty much not going to change. Now I know you previous on leave mothers are laughing and giggling–knowing I may never get to any of this depending on my appointments and my level of energy. I may clean one day instead… in spurts of 20-30 minutes and take several breaks as we need to do some deep cleaning around the house. I also need to finish Kiddo’s room. I might spending 2-3 days just working on laundry. And I do NOT plan on stressing myself out so if one day I do nothing–that’s perfect fine too. I’ve realized getting too stressed out is not a good idea. This entry was posted in The Lesson Plans of Tomorrow, Theological ThinkTank. 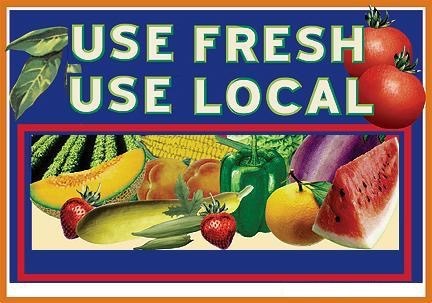 Being from California and having gone to school in the Midwest, I have had the very unique experience of having access to locally grown products. I am a huge supporter of the local business, will pay extra to enjoy something I know was handmade or conjured nearby and am trying to find ways to support the local economy. 2) farmers market: one day I will make it but Terre Vista near my house has a Saturday market, which is unique. And the garden shopping mall has one on Thursdays that includes a local bakery. 3) local business: I meet someone at one do the brewery who not only makes natural soaps and lotions but she buys dog food locally from Redlands residence that sells grain free/healthy dog food for less than Petco or Petsmart. And he wants to do this as a business model–sell to local feed stores and pet stores. And the cost is cheaper to support a local guy. Can’t beat that, right? 4) Local restaurants: I did try to eat at the local places more in Orange County, but Rancho Cucamonga has several more options than Anaheim. Including a high quality diner walking distance from our house. While a fast restaurant and a major chain are good every once and a while, I really love the couple pizza places (including Sam Biaggo’s) and local dives better. 5) Rancho has a community garden. Grant it I have issues with the way community garden is organized, choosing to not support this feels wrong. 6) The local courts and community offices are not in a downtown area that no one travels to. They are actually very assessable from Classic Route 66. By the way–the history of the area is par none. And doesn’t including eliminate orange groves to fill in a mouse house 😉 I can go to jury duty 5 minutes away (which is a good thing), and when I had to file a police report, i didn’t have to go to an unsafe area of town to do it. The county offices are also available nearby because we’re in a more populated area. 7) mountain towns: Rancho is near big bear, mountain high, and mount baldy. We’re also a short drive from Yucaipa for apple picking and closer to Vegas and downtown LA without having to take the dreaded 5 north. In fact, we can go to universal studios in less than an hour. Pleasantly fun even though I am a Orange County never go to Los Angeles if I can help it person. This entry was posted in New Life, The Lesson Plans of Tomorrow. It has been a while since I have felt creativity. Maybe yes because this week I went back to church choir or maybe it’s because I connected back with my spirit and with God. Who knows. You see, I used to be a traditionalist. The one who only read original books, original story lines and wanted to buy every original piece of art. To put it in Star Wars terms–I idolized episodes 4-6 while loathing 1-3. But all of that is beginning to gradually change. First, I have realized how intermingled cosplay and creativity are. It’s not about duplication what has already come out, but building and forming something completely and uniquely new. And this has always been my guide since I was a child–to want to invent or create something completely new. Which is why is started in traditionalist creative arts. But tonight I read this comic. Yes-_I mean seriously took a moment to read and understand all the pictures. Originally what caught my attention in this series was the tombstone to the left: it shows characters I know to be from other universes. Other stories. At the most 50 years ago. But definitely not 1872. 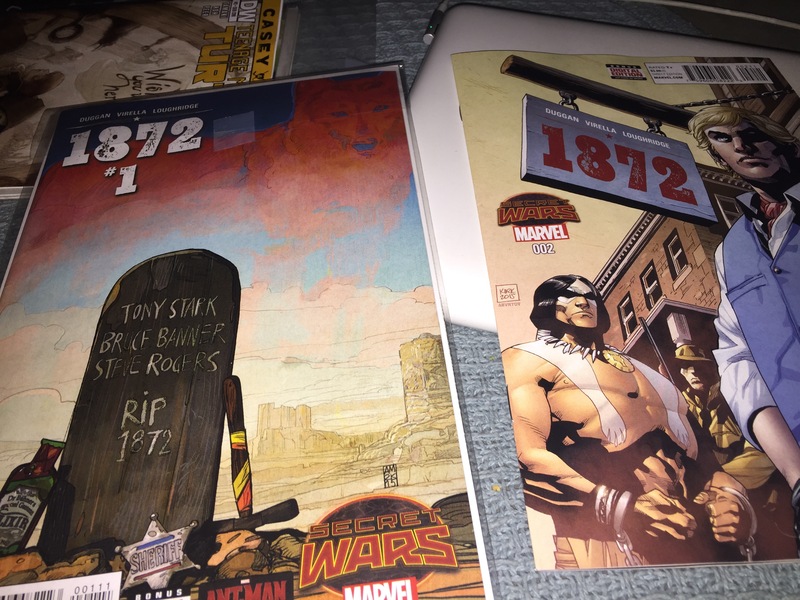 So I decided to indulge a little….and discovered the wonder that is fan fiction/ unique creativity. Trust me–the names are just coincidental. But it’s not the first comic or storyline. In fact, look at Star Wars, Star Trek, or even Shakespeare. There are themes, repeats, reorganizations and bonds between some of our most beloved characters. And yet we consider them all different, original, unique. So the next time you see a sequel, prequel, a whatever-quel, dig a little deeper into your mind and explore the world in a new way, maybe with a little more creativity under your belt. This entry was posted in Adventures in Writings, The Lesson Plans of Tomorrow, Theological ThinkTank and tagged creativity, Outside the Box. 1) dreamers rule the world. Think outside the box!! 2) why is the future lack emotion? Haven’t they figured it out that emotional-less always gets distracted and emplodes on itself? Just saying (my alternative universe is based on the premise that emotions are valuable and reveal true humanity. Technology is used to advance the stabilization of the emotional well-being. 3) its 2015…where are our flying cars people? (Shawn said this best) that being said-where are the jet packs for everyone and the automated travel? 4) what’s with robots? Seriously-haven’t we learned robots can rule the world? Geez…. This entry was posted in The Lesson Plans of Tomorrow. Sunday begins a new month-February. A month of jammed holidays-including the candy inducing and card exploding Valentine’s Day, sometimes Chinese New Year, President’s Day and (occasionally) a leap year. 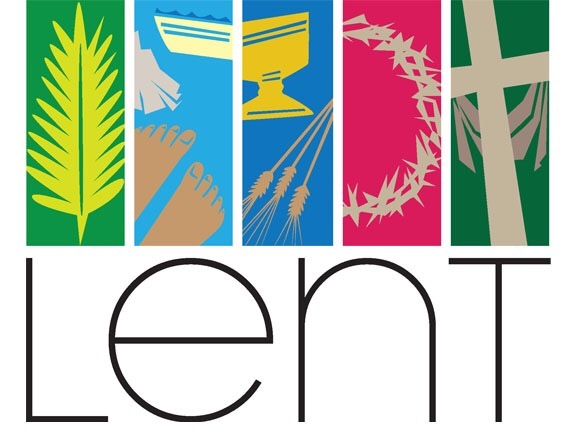 However, the season of lent typically begins this month-with Mardi Gras and Ash Wednesday leading through the Palm Sunday, the first “last” Supper, Good Friday & Saturday and finally with Amazing Easter! 1) Weight Loss–work on losing those 10-15 lbs by Easter. Actually, this will go with the original idea of Lent and “giving up” something for Lent. 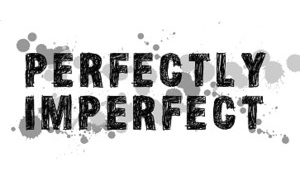 I am contemplating giving up the bad stuff–the highly processed sugar, soda, sugary juice, stuff like that. But i have two weeks to define this. I have also considering see what it is like to go Gluten-Free or Vegetarian (no vegan, sorry-I’m worried about its affects on my medication.) I know several of my friends who are on strict diets and for some reason, acknowledging that they have a dietary restrictions is where I feel I can walk with them for a bit. A few years ago (2013) I decided to go Kosher mostly because of a discussion I had with a messianic Jewish friend. It was not easy. Shawn and I traveled to Walt Disney World and he had reservations at the Seafood Restaurant “The Coral Reef.” We also ate at a fancy French restaurant in Epcot (the little one up the stairs…the expensive one.) Both of these places had a lot of shellfish-something definitely NOT Kosher-and I struggled with picking something that still sounded appetizing yet was appropriate. It gave me new appreciation for that diet. And it helped me eat better. So that’s step one. I will also be tying in “doing something for others.” A fairly new but definitely appropriate Lenten practice. This may sound silly-but Scout and I started dog training. Yep-you can teach an old dog new tricks. Scout is 5 years old, learning that yipping and jumping in circles is not acceptable behavior and hopefully getting some lessons in manors. This helps everyone, right? (If you have been to my house you may say yes.) I’m also trying to figure out where to get back involved with rescues. And that circles around back to health and walking. I also want to give a little more, pray a little harder, and loves my friends a little deeper. ;-). I also want to be able to stand against wrong doing, love justice and yet know what Gods patience and timing looks like. 2) The next idea is more along the lines personal development. To work on yourself. An idea that Lent is supposed to be a time of self-reflection, spiritually speaking. I want to work in daily readings, studies, something. I have talked about this before, talked about doing it. But suddenly I have an urge to do this. It’s something I would love to practice with any children if we are so blessed to receive any. The second item is thinking about my career and my life. I love working for Auto Club, but many people know I have a degree in Theology and while it can relate to the world of customer service and insurance, both are not my dual passion. I believe more so that God is calling me somewhere and yet calling me to be the best at whatever job I am in-which he has made clear is currently claims adjusting. Hence why I work hard in insurance. But every time I look at my books, think of my love for theology-i get depressed and go right into the rut I felt before attending seminary. If some of you don’t know–I struggled for close to 2 years on deciding if I should go to seminary and when I should go back. I missed everything about being theological. So my personal goal is to get started on looking at related jobs to this field and what it takes to get there. Thanks to my choir director at church I got a lot of encouragement to start looking and I realize that every position I wanted to apply for requires a Ph.D. (deep sigh). But I will leave that for another blog. 3) the last item is staying connected and devoted. I want to make it to church more often (I live 45 minutes from church so it’s actually a serious commitment.) I wanted to be a perfect attendee but I’m trying one week at a time. Also it’s about attending and prioritizing the right things. Jesus is Lord, and i AM all in! I am yours! He will be your bucket and bring the rope He will give you life! This entry was posted in Lent 2015, The Lesson Plans of Tomorrow, Theological ThinkTank and tagged Christianity, Lent 2015, lenten journey. As another years concludes, both liturgically and secularly, my personal health journey is beginning to take a turn. Not for the worse (though my health will if I don’t follow this) but for the better. Diagnoses have been confirmed and now more than ever (as shawn and I want to look towards kids in the future), I want to start losing weight. I know, same ol’ story. And if I say its different, you’ll rolls your eyes. But hold fast grasshoppers! Now, i don’t mean following every saint, reading what things they fasted from and then practicing those myself. No–God worked through those men and women for different means. What i means is taking the basics of the liturgical calendar for some structure and apply it to the disciplines of my life that need work. Why on earth would you do this? — mostly because I love organization and structure. Life has taught me 1) that these can be good and 2) don’t let these run your life. Two VERY important lessons to be applied during this change. What liturgical elements are you going to include: My method is to use the major church holidays. the first break between Christmas and lent will have some filling in of Jesus’ life and the break between Pentecost and Advent the next year will be filled with epistle understandings. 1) to lose 100lbs (yes, that much) over the next year and to keep it off the following year. 2) to have my cholesterol/pre-diabetes/pcos under control to where it doesn’t affect my lifestyle, my loves or my life. I know their small, but they are huge to me. And while they may be high jumps, I know they take small steps and practices to work through it. So when does all this begin? I have broken up the starting plan into several ways. The first time, like preparation for the coming of Christ, is preparation time for the health lifestyle. I don’t wan tho waste, so my goal will be for the next couple weeks (until October 1st) I will be eating/getting rid of the things I do not need. Unfortunately, that may include my cake-baking supplies, because let’s face it, while I love them, they are not good for me and i frankly have not used them. But good news in this process is I can take the time to pray about it and make a decision. the Second phase will “begin” on November 30th, at which point all foods will be gone. This is the beginning of advent. I am considering an advent calendar of sorts that will encourage healthy eating with messages about the coming Christ-child. Third Phase–real life application and devotion. This time is typically devoted to following around Christ in the Bible (since its between his birth and death at Easter). This is the time I plan on still translating and exercising. Practice of discipline, of walking a mile in someone’s shoes, has value and this is about a 2-3 month period anyways…then add in Lent after Ash Wednesday which is a glorified of the same thing. Mardi Gras–this will be a party. One day where I can eat/drink whatever I want. Where i can purposefully let go of translating commitments and spiritual study, despite my longing to always be listening. Truly. 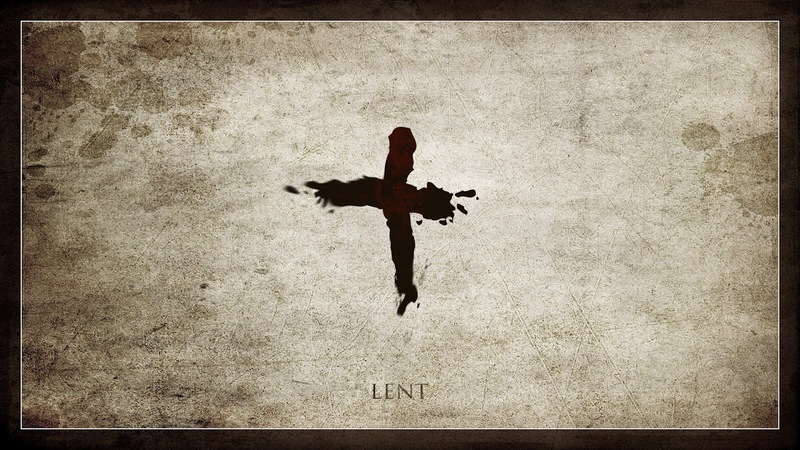 Ash Wednesday & the beginning of Lent: this year I truly want to give up something. Something of value that others deserve more. Both spiritually and physically. Spirit-wise I may share some of my translations with people or double my discipline time. Physically I may give up red meat, or carbs, or something that I should already be sacrificing or something hard to sacrifice yet vitally important. Resurrection Sunday–celebrate! whatever point I am at, not matter how much weight or verses I’ve translated, I plan on using this time (and other holidays sometimes) as i brief moment to celebrate and thank God to where he has brought me & where i am going. you need these days. They’re important. This also is a good way to follow the Bible–through the Church calendar. I am in search of a liturgical reading of the Bible through 1 year or 2 years that I can follow. I want to start on advent, get prepared over the next 6 weeks as well as complete some items at work that would make room for more efficient study. If anyone wants to try & follow with me, that would be great! I am willing to consider publishing daily/weekly reminder/tactics for review if enough people think it might be a good idea. This entry was posted in The Lesson Plans of Tomorrow, Theological ThinkTank and tagged Christianity, liturgical calendar, spiritual weight loss, Spirituality, Weight loss. This Sunday and beginning this month-I will be teaching a class at church called “Biblical Words with Bazinga.” Yes-I did it! It is meant to be a class that looks at the original meaning of words and demonstrates how they may enhance our faith. Here is a snidbit of what is to come. If you want to check me out–I’m at Messiah Lutheran Church on Tuesday nights at 7pm and tomorrow, Sunday, Feb. 2nd at the adult forum at 9a after first service. Now, before I get too deep into my topic, I do want to introduce myself a little and hopefully give myself some credibility. I am a Anaheim native who grew up with a deep desire for languages. Before I got to Jr. High and High school, i was planning out what languages I wanted to learn. Growing up in a methodist church that had a relationship with a Jewish synagogue encouraged a curiosity for Hebrew. I remember asking my mom what the characters on the wall were when I was young. She explained that Jewish people knew hebrew, and that things on the wall were written in that language. Well–I figured since Jewish people were like Christian, it couldn’t hurt to want to know Hebrew, right? Honest–I even asked my mom if I could go to Hebrew school. I told this to a Jewish person once and he cracked up because all he could do was to try & come up with reasons NOT to go when he was young. When I entered high school, I originally had chosen German to study (since that’s my heritage) but our school dropped the program so I was forced to learn Spanish. Some of my friends learned Japanese (Anime-Japanese comic art was big in my high school) which sparked my interest in looking at things I was not familiar with. Then I went to college and heaven forbidden LATIN was available. I personally thought everyone should learn Latin liked they did when my mom was young–I know it helped with grammar and syntax along with understanding the root for Romance languages, which included spanish, french, Portuguese and the like. While I was taking latin, I got a sudden urge to study theology. Once I figured there was a degree in studying religion and God and everything related to that, I was full force. I grew up in church, loved church and was excited that it was an academic field of study. I know, I’m crazy. But I guess God has something planned for it all–we’ll see. My junior year, though not required to take anymore languages–our biblical studies department offered HEBREW! I was so excited-I even studied from England while I was abroad. My last year I also took Russian. Why? Because my dad had tried to learn Russian for work with his involvement with the NASA shuttle program and I always remember seeing the dictionary on my bedroom shelf in the “old” books pile. Currently I have moved onto a Master Degree from Fuller Seminary in theology with a biblical studies emphasis. I have since taken Greek, tried to teach myself German and Italian, made it a bucket-list goal to learn some eastern asian language (probably Korean) and feel I am being called to dispense this chunk of knowledge somewhere. I have always felt that language-how we say, what we say & the different ways we have to say things–always expand our understanding of our world and especially our understanding of our faith. As you will see, there are several words in the Bible that in their original languages provide a much greater definition of certain faith concepts than the English allows us to permit. Now, don’t get me wrong–I love English too. However, our words do not by themselves define concepts. For example–think of the second person plural concept. In different languages, there are different words that describe when you are taking about “you” referring to a group of 2 or more doing something. The closest we get in English is “y’all” which is discouraged in proper English. So I am going to be going over some of the words I plan to look at in my weekly class starting Tuesdays this month. Each week will have a theme to it: Words for God, Words from the OT, Words for Christ and New Testament Jargon. I will be looking at 4-8 different words in the Bible that by just looking at their original meaning will hopefully help expand or help define you faith a little better. WORD FOR GOD– Let’s first open our BIble up to page one.. start reading from a Bible that has introductory pages… Bazinga! So, here In the first creation story (what!? yes, there are two creation stories–see Genesis 2 for the other) we hear about God creating the world. In this section there are two very distinct descriptions of God-can anyone name them? nothing complicated, not tricks [[God-Creator and God-Spirit] and we’re going to look at both of them real quickly. Genesis 1 uses the term elohim as the description for God. In “standard” Hebrew, this term is actually the plural form of the word for God. However, if you were Jewish, in NO WAY is God multiple gods. And, ironically, a Jewish description of God would not include the Trinity since Jews don’t believe in Jesus or even know about Him when they were writing this. elohim has a singular meaning to demonstrate the greatness of God’s Mighty Force. Think about what God is doing in this section. He’s creating, He’s God over EVERYTHING, He’s turning on lights and He’s making things from nothing. CRAZY, isn’t it? The Hebrew uses this same term (elohim) throughout this entire section to re-emphasize the importance of a Mighty Creator. Even the verb that indicates “to create” is only used in biblical text for divine creation.